Standouts include meetings headed by the MTB with Avianca and Copa Airlines with both destinations present in order to drive new direct flights from South America, with possibilities of being firmed up by 2018. The 2017 XXXVI Anato Tourism Showcase took place from March 1-3 in Bogota, Colombia, serving up some very positive progress for the Puerto Vallarta-Riviera Nayarit Joint Promotional Campaign. Lourdes Behro, Director of the Mexico Tourism Board, spearheaded the participation of Mexico in what is considered the most important tourism fair in Latin America. The Promotions areas of the Riviera Nayarit Convention and Visitors Bureau (CVB) and the Puerto Vallarta Tourism Trust carried out a full schedule between meetings and interviews with wholesalers, airlines and the local media. 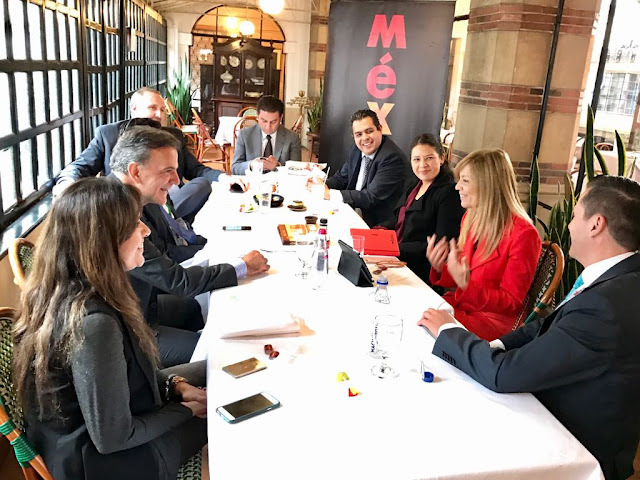 Standouts included the two meetings the Mexico Tourism Board had with Copa and Avianca airlines along with representatives from both destinations in order to drive new direct flights from South America, with the possibility of them happening by 2018. Colombia is by far the South American Emerging Market that has had the best response to the stimuli of the joint campaign; this country is in the top spot as place of origin for tourists to the Riviera Nayarit at 24.4%, outside of the Natural Markets and under the heading of Other Nationalities. The tour in Colombia began before Anato, with meetings on February 27 and 28 with executives and agents from Price Travel and Best Day, resulting in 130 agents from different areas receiving training. At Anato they held meetings with Colombian tour operators including Nomadas, Turivel, CIC Colombia, Pelícanos, Aviatur, Luz Verde, Viajes Chapinero and Akira Travel, among others from different cities such as Medellin and Antioquia. The Colombian Romance and LGBT segments also received attention. Aeromexico has been a key commercial partner for both destinations, so they trained its sales team and established the basis for new flight connections, FAM trips, advertising and upcoming marketing. Anato had over 35 thousand attendees during the three-day expo, producing nearly 120 thousand business meetings and contacts, which will generate approximately 100 million dollars a year in business.